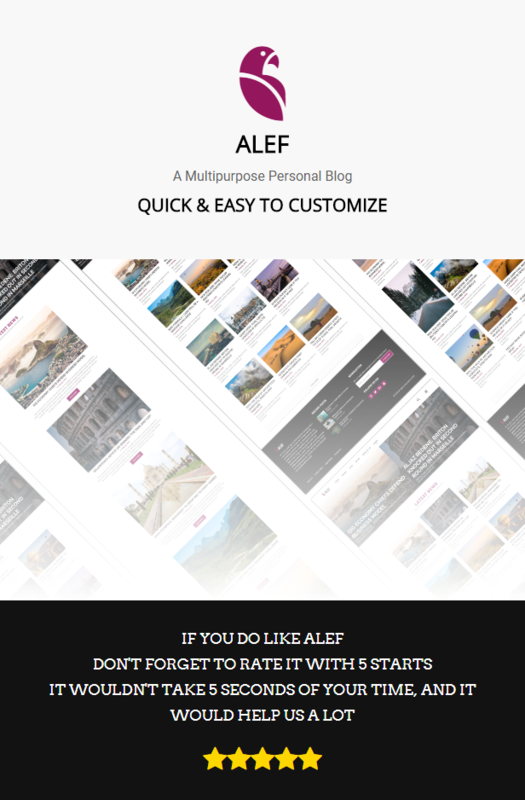 ALEF is a clear and fully responsive multipurpose personal blog template, well organized and structured, well commented and documented. ALEF is easy to custumize and manipulate. The template come with a wide range of demos. All the images are free and taken from picjumbo and unsplash. And they are not included in the download file. If you feel anything is wrong with the template please contact us.